Using your slow cooker is an excellent tool for a paleo lifestyle. It allows you to set your recipe in the morning and come home to a delicious paleo meal. 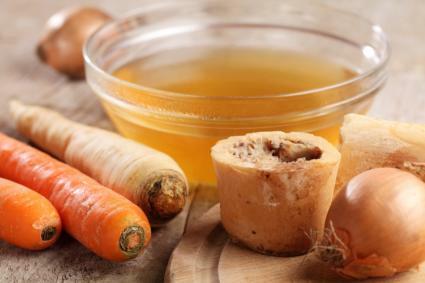 Bone broth makes an excellent base for soups, is good in stews, and is wonderful for sipping all by itself. Use bones from organic, pastured beef or organic, free-range poultry. This recipe yields about six cups of bone broth if you use a six-quart slow cooker. The stock freezes well, tightly sealed, for up to 12 months. You can store it in the refrigerator for up to five days. Combine all ingredients in a slow cooker. Cover and cook on low for 12 to 24 hours. Strain the solids and discard them. This recipe serves six. It freezes well and makes great leftovers, so it's an excellent way to make a big batch of food to save for when you're too busy to cook. In your slow cooker, combine all ingredients. Cover and cook on low for eight hours. Serve topped with cubes of avocado, chopped green onions, chopped cilantro, and chopped tomatoes as garnish. Some people don't include wine in their paleo foods, so if you don't, feel free to replace the wine with beef broth. You can spoon the short ribs and liquid from this recipe over mashed cauliflower, mashed turnips, or mashed sweet potatoes if you wish. The recipe serves six. It freezes well, tightly-sealed, for up to six months. In a six-quart slow cooker, combine the bacon, beef, mushrooms, horseradish, pearl onions, garlic cloves, baby carrots, and dried thyme. In a bowl, whisk together the wine, arrowroot powder, salt, and pepper. Pour over the ingredients in the slow cooker. While this is delicious if you cook it as-is, it is even better when you brown the short ribs on all sides before adding them to the slow cooker. To do this, heat your favorite paleo-friendly oil in a large saute pan on medium-high until it shimmers. Working in batches, brown the short ribs on all sides, about four minutes per side. 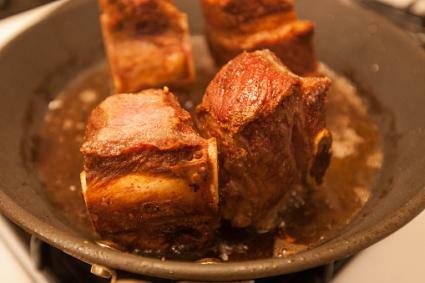 After you add the short ribs to the slow cooker, deglaze the pan with a little of the wine and use the side of a spoon to scrape any browned bits from the bottom of the pot. Add this liquid to the slow cooker. 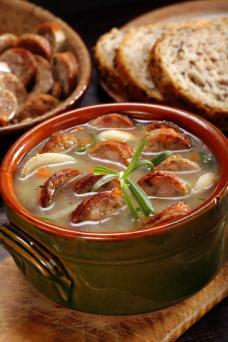 This flavorful soup is perfect for an autumn evening. It freezes well, tightly-sealed, for up to a year in the freezer, or you can store it in the fridge for up to five days. The recipe serves six. In your slow cooker, combine all ingredients. Brown the sausage before adding it to the soup. Add 1/4 cup dry sherry to add additional flavor. 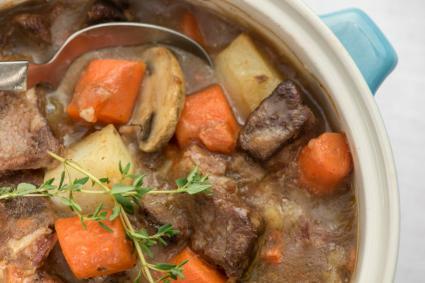 The secret to making this classic beef stew paleo is replacing potatoes with celeriac, which has a similar flavor and texture. The recipe serves six, and it goes well on its own or with mashed sweet potatoes. In a large saute pan, cook the bacon until browned, about four minutes on medium-high heat. Using a slotted spoon, transfer the bacon to the slow cooker. Using the bacon fat in the pan on high heat and working in batches, cook the beef cubes until they are browned on all sides, about three minutes per side. Transfer the beef to the slow cooker. Deglaze the saute pan with 1/2 cup of the bone broth, using a spoon to scrape any browned bits from the bottom of the pan. Add it to the slow cooker. Add the onions, celeriac, carrots, mushrooms, thyme, salt, and pepper. In a bowl, whisk together the remaining four cups of bone broth with the arrowroot powder. Add it to the slow cooker. Paleo food is delicious when you have the right recipes, and using your slow cooker is a time-saver. Additionally, many slow cookers are large enough that you can make big batches so you have leftovers for the next night, making it easy to save time by cooking once and eating twice or more. 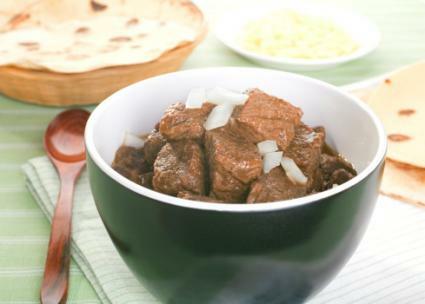 With so many delicious recipes, your slow cooker is an essential tool in your paleo kitchen.